Here is our closer look at the different sectors within rural real estate, from across the country. Plenty of sheep and beef properties were offered for spring sale. One notable result was a 353 hectare Clydevale, South Otago property, carrying approximately 4000 stock units, which changed hands in late October for around $20,000 per hectare, a record among similar local properties. Also in Otago, a Milton breeding and finishing farm sold in early November just short of $13,000 per hectare. Elsewhere, purchasers were slow to respond to the abundant listings. 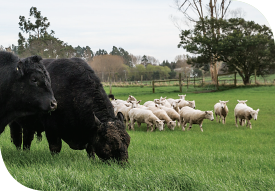 Any outcome on a 286 hectare, Tauwhare, Waikato farm, carrying around 4500 stock units, listed for sale with a late November tender deadline, will attract market scrutiny. Several Te Kuiti and west Waikato properties were also offered by tender or auction with late November or early December deadline or auction dates, and will similarly influence trends. With sentiment in the sector positive, the summer should see sales activity increase. Although several North Island dairy properties were offered for spring sale, buyers were reluctant to commit. Confidence in the sector is short, as farmers deal with numerous issues. These include the risk of Mycoplasma bovis, which is now receding; changes to the overseas investment regime, which have removed an influential proportion of those previously purchasing larger properties; reductions in the payout forecast; and tightening environmental regulations. It may take more time for the market to adapt to those issues and sales in any volume are unlikely before that confidence is restored. One property that did sell well was a 120 hectare dairy farm on the outskirts of Cambridge that went to auction in mid- November, and sold for the first time in 123 years, achieving $9 million under the hammer. Based on the property’s productive land, this sale equates to at least $90,000 per hectare. Fewer Southland dairy farms sold in the five months to the end of October than the same period in 2017. Sales ranged in value from $23,000 to $37,000 per hectare. A large Lyndhurst, Mid Canterbury property, with excellent specifications, including pressurised irrigation water, changed hands in October between $50,000 and $52,000 per hectare, approximately 10 per cent below the value of similar farms transacted 12 months earlier. Heavy demand for run-off and grazing blocks, between 80 and 100 hectares, is one positive market feature, as farmers seek to make themselves self-sufficient, keeping stock isolated from the risk of Mycoplasma bovis infection. Otherwise confidence is short as intending purchasers wait for clear market signals around value, concerns remain around the direction of the payout forecast, financing criteria have become stricter, and those who own several Canterbury or Southland farms re-align cash flow. Corporates planning future vineyard development were notable in the spring market for viticulture property, with blocks in Marlborough’s lower Awatere particularly sought after. Awatere Valley bare land is changing hands as high as $70,000 per hectare, while established Awatere vineyards sell for between $140,000 and $170,000 per hectare. Set to test those values, a 166 hectare property, the Awatere’s last remaining substantial sheep and beef farm, was listed for spring sale, with deadline private treaty offers sought by mid-November. While this will likely be the summer’s outstanding viticulture transaction, several other vineyards and bare land blocks should also find eager buyers. Buyers of lifestyle vineyards have been more cautious, with few sales and activity subdued. New Overseas Investment Office regulations ended overseas buyer activity, coming into effect in mid-October. How the industry’s major players react is yet to be seen. Demand for kiwifruit property outweighs supply, and enthusiastic buyers prepared to push values to ever higher levels continue to meet most orchards offered to the market. Gold kiwifruit orchards changed hands during the spring for between $1.15 and $1.2 million per canopy hectare. These are Te Puke properties, at optimum altitude, either with early start fruit or producing around 20,000 trays per hectare. In early November, a 5.02 canopy hectare property with these specifications sold at auction for $6.135 million, purchased by a partnership of existing Te Puke growers. Prices for the best producing green kiwifruit properties are now approaching $500,000 per canopy hectare. Meanwhile, a 10 hectare organic gold kiwifruit Hastings orchard, scheduled for mid-December sale, will provide a gauge of values outside the sector’s most established localities, and indicate how growers perceive the future of Hawke’s Bay kiwifruit. Several corporate growers actively sought Hawke’s Bay pipfruit and stonefruit land during spring. With owners preferring to capitalise on the sector’s buoyant returns, this demand remains unmet. However, an increasing number of properties are likely to be listed for sale through the next few months, as some vendors are tempted to cash in on the market. Prices for suitable bare land range from $100,000 to $150,000 per hectare. With such active demand, and the pipfruit and stonefruit fundamentals telling a compelling story, property prices could firm slightly through the summer. In Hawke’s Bay orchard land is often part of a lifestyle property. An owner will live in the property and lease the orchard to a grower. Hawke’s Bay lifestyle property is similarly under strong demand, along with the productive land associated with these properties, though these owners are also reluctant to sell. Prospects for arable farmers this season are positive. Contracts for clover and grass seed are holding their own, while cereal growers will be $100 per ton better off this year. Those growing feed wheat, feed barley and milling wheat will do well, so long as they produce 10 tons or more per hectare. Some cropping farms will come to the market in summer. One such, a 157 hectare Lowcliff property, yielding 13 to 14 tons of wheat per hectare, should sell favourably. Properties with scale, good infrastructure and modern, reliable irrigation will find willing buyers. Without those characteristics, sales will be more difficult. Earlier in the year benchmark prices for premium cropping farms sat between $49,000 and $51,000 per hectare. Values should remain close to that this season, though the market for less well favoured properties may soften. Demand for New Zealand logs, particularly from China and India, as well as from domestic timber mills, continues to support a buoyant forestry property sector. Prices for mature forests sit firm at between $25,000 and $30,000 per hectare. One recent sale saw a smaller newly re-planted coastal block sell for over $10,000 per hectare. Demand is such that some forest owners are opting to harvest trees from 23 years, before they come to full maturity, with the payback for felling now outweighing the potential gain of waiting another few years. Demand for suitable property is from existing forestry interests: with the volume of trees coming out, the incentive for new land and the need to keep replanting is strong. With the fundamentals driving export and domestic market demand unlikely to change, the seller’s market should prevail through the summer and beyond.